The MvBii z-ZAP is a watch and fun activity tracker, ideal for younger people and families who want to have fun and be more active. The z-ZAP comes with the MvBii app for smartphone, tablet or Pod which uses easy to understand activity and balance screens to illustrate your daily and weekly activity levels and monitor your activity/rest balance. You can easily compare and share your activity with friends and family and even set yourself activity and rest goals to help you live a healthier lifestyle. 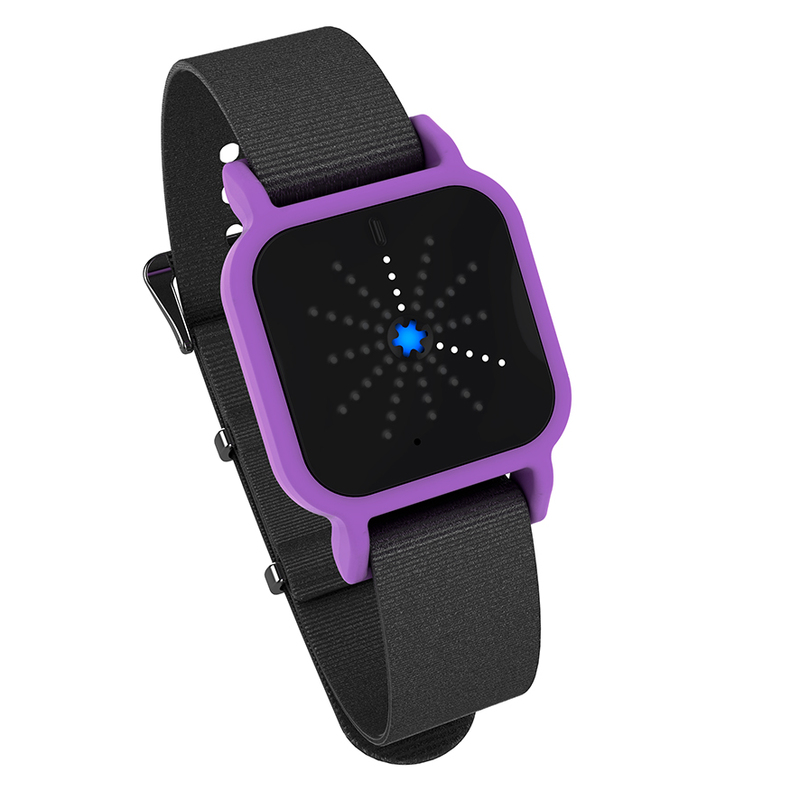 The z-ZAP has loads of features and is much more than just an activity tracker. It can be used to remotely control your music on your phone - giving you an easy way to change tracks whilst walking or exercising with your phone safely in your pocket or activity armband. You can use the z-ZAP to control your phone to take brilliant hands-free photos or video selfies and impress your friends. Using the app you can also create a photo diary that can be shared with friends or posted to FacebookTM in seconds. Message your z-Friends for free using the z-ZAP and start amusing them or surprising them with the fun range of audio emoticons provided. The z-ZAP comes with a cool looking purple holder and black strap as standard, but can also easily be customised to your look with different coloured holders and straps (sold separately). It can be worn on the wrist, as a pendant or attached to a stylish leather fob securely in your pocket. What's in the box? z-ZAP tracker, purple / black wrist band, USB cable and instructions for how to download and set up the free MvBii app. z-ZAP can be used with Pads, Pods and Phones, so you don’t need an active phone account to use the app. Currently iOS and Android* - phone, pad or tablet; needs to support Bluetooth Smart. * Not all Android devices may be supported - contact MvBii support if you want to double check. Cool and customisable - match your look to your mood or clothing - interchangeable straps and surround available as an accessory (separate purchase). Encourages and promotes exercise and activity. Play and pause music from your playlists on your pad, pod or phone. Use as a selfie control for your pad, pod or phone. Buzz and send smileys to other z-ZAP friends nearby. Send app to app messages to your own private and secure friendship group. Play games on your own or with your nearby z-ZAP friends. Contains small parts, z-Zap is not suitable for children under 6. Use by children above 6 should be supervised by an adult. Exposure to chemicals and rough surfaces may damage your z-Zap.